Remember when CD-ROMs were all the rage? 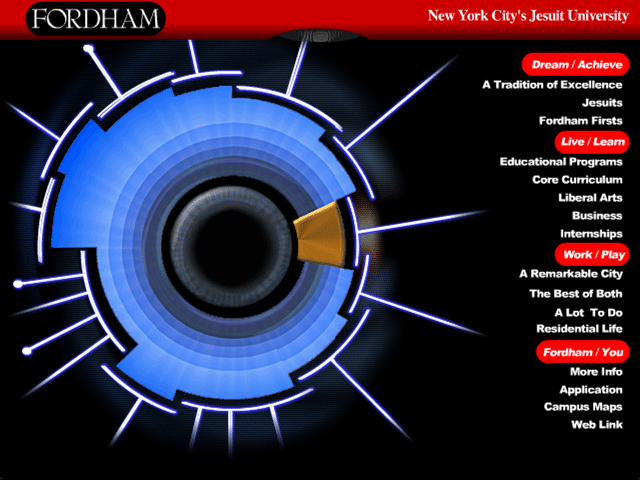 This interactive disc presented interested potential students with information, videos, and maps of Fordham University, located in NYC. This was completed in 2001 and still has a bit of a late 90's UI and UX aesthetic.